James Rutland with his service dog Dunkin. This article originally appeared on ConsumersAdvocate.org. 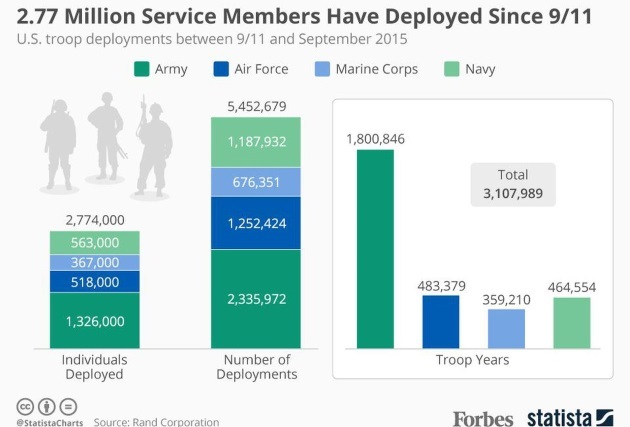 We are now family in this post-9/11 world. In 2016, Rutland finally rounded the bend of recovery when he was paired with his service dog, Dunkin. “I started focusing on ‘we’ instead of me,” says Rutland. He has a semicolon tattoo on his right wrist, a known symbol of taking a pause when thinking about suicide. Unlike a “period” which ends a sentence, the semicolon creates a pause, for the reader, then continues the story. Rutland wears it proudly. "It's a great conversation starter," Rutland says. 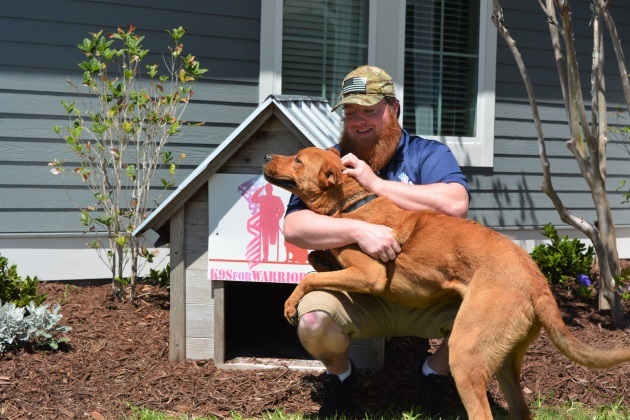 K9s For Warriors is a BBB-accredited charity organization located in Ponte Vedra, Florida, that has been pairing rescue dogs with traumatized soldiers since 2011. The dogs are trained to be service dogs, specifically performing tasks to quiet the symptoms of war trauma disabilities in soldiers. 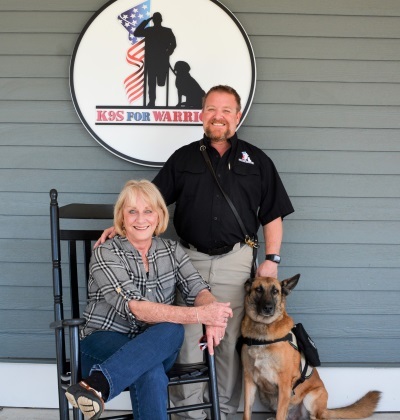 Thus, the K9s For Warriors program was born. With her son’s background in training dogs, including 13 years as a canine police officer, Duval convinced Simon to start the nonprofit together. According to the Department of Veterans Affairs (VA), who provide help with a wide array of veteran services ranging from affordable healthcare to low-interest home loans, it is common to have reactions such as upsetting memories of an event, increased anxiety, or trouble sleeping after experiencing a traumatic event. If these reactions do not go away or worsen, then the individual may have PTSD. Each morning, she measured levels of cortisol — a stress hormone, in each participant; an increase of the hormone in the morning is indicative of a healthy level or curve. We tend to see a rise in cortisol immediately after waking up. “We call it the morning rise”, says Dr. O'Haire. Dr. O’Haire has been granted additional funding from NIH to perform a large-scale study on the efficacy of service dogs as a complementary treatment of PTSD symptoms in military members and veterans. The study is scheduled to be completed later in 2019. Scott Smith is the pet editor for ConsumersAdvocate.org, as well as a content creator and social media expert. Scott also runs a large animal community, "Everybody Loves Sammy," which he created about seven years ago, and it's known all over the world now. Sammy is one of his seven dogs. "Everybody Loves Sammy" is just the name now. The community itself is about animals and people from all walks of life. Additionally, Scott created the Dr. Harp Seal community, the "I'm a Pig Man" advocacy message, the Drive With Compassion movement in Puerto Rico and most notably, wrote and recorded "Where is the Geneva Convention for Animals? ", which can be heard on SoundCloud by Dr. Harp Seal.